What's the lowest USDA grade of beef and what is it used for? Prime, choice, and select are the USDA beef grades you’ve probably seen at your local supermarket. Beef that meets those standards is well marbled and tender, and prime steaks fetch a premium. But did you know there are grades below those? You won’t see beef labeled standard, commercial, cutter, canner, or utility, but that beef is a large part of the meat landscape, too. The first thing to know about USDA grading is that it’s voluntary. It’s not related to the safety of your meat—any grade of meat sold in grocery stores undergoes mandatory inspection, paid for by government funds—but instead reflects its quality. 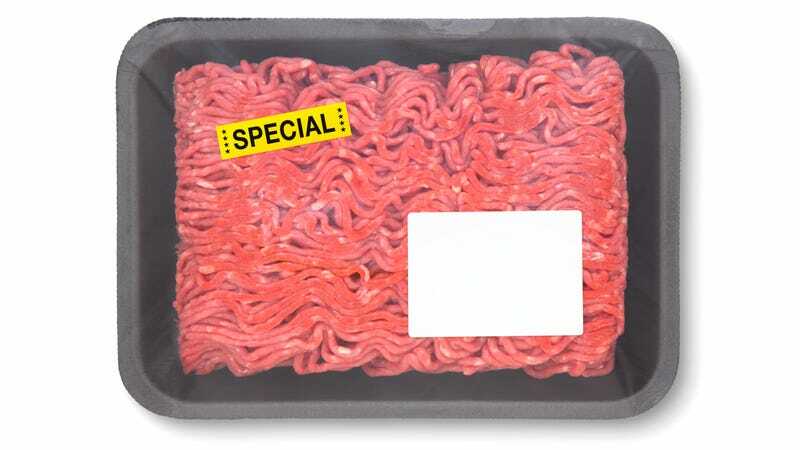 Meat processors who want that elusive prime, choice, or select label must pay privately to have a USDA inspector come certify their beef. Those certified graders evaluate traits related to “tenderness, juiciness, and flavor of meat;” generally, the more fat marbling present, the higher the beef grade (prime being tops). Young cattle produce the tastiest meat. (Hello, veal.) A USDA spokesman tells me that typically, cows under 30 months of age can obtain the highest designations: prime, choice, select, and standard. This PDF chart shows the relationship between fat marbling, maturity, and the animals’ quality grade, where A and B group cattle are the youngest cows. As cattle’s age increases (groups C, D, and E), animals must display more marbling in order to still earn a higher grade, but after age group B (generally 30 months of age), it’s impossible to qualify as anything above commercial grade. When we start talking about cutter, canner, and utility grades of beef, we’re generally talking about animals older than 42 months, according to Dr. Jonathan Campbell, an extension meat specialist and assistant professor of animal science at Penn State University. He tells me that cows’ age affects meat tenderness, color, and marbling; and that because of that meat’s appearance and its correlation with perceived juiciness, it’s not top-shelf. Generally, though, those lower grades of beef don’t make it onto our plates as steaks. Peter Wood, a spokesman with the USDA’s Agricultural Marketing Service, says they’re mostly used as “grinding material to produce ground beef or processed/cooked meat products.” That’s bologna, beef sausage, jerky, hot dogs, etc. It actually makes sense that leaner animals would be used for ground beef. Think about it: The qualities that make for a prime steak—fatty marbling—are less desirable in ground beef, where consumers will generally pay more for 90-percent lean meat than 75-percent lean meat. These types of processed-meat products are important to ranchers and farmers with older cows in their herds. Once a cow is no longer “reproductively fit,” Campbell says a farmer might choose to cull that animal from the herd and sell it to become canner, cutter, or utility grade meat. That older animal likely doesn’t have the same muscle and fat mass that a younger cow would; they tend to be leaner and can display hardly any marbling at all. Delightful! Anyone up for burgers later?